On Feb. 25 the long-anticipated construction began at Grace or the new classroom addition and church renovation project. The contractor began by removing the playground equipment in preparation for the excavation. The first week of construction was spent excavating and preparation for the classroom addition, nursery addition and storage area behind the church. Footings were dug and forms installed. The underground utilities were installed under the slab areas. After the proper inspections, the contractor installed a vapor barrier and a base course of gravel in preparation for the concrete. Rebar was installed in the footings and on Mar. 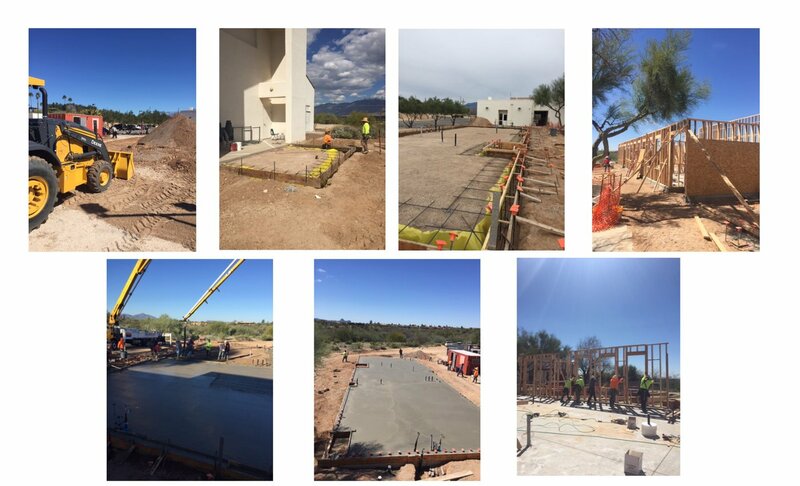 22, 12 men poured 100 yards of concrete for the three beautiful concrete pads that will be the foundation for the new additions. After the concrete was allowed to cure for several days, the framing began and the walls are now rising! So far the project is on schedule, with no major setbacks. Stay tuned for future reports as progress continues. We have received 100% of the needed $820K in cash & pledges to build Phase 1 (added classrooms, cry room in sanctuary, storage space). To begin construction we needed the full amount pledged and also have 1/3 of the funds received ($273K). Currently we have 100% of that amount received, and Phase 1 of construction is beginning. We have received 28% of the extra needed $280K in cash & pledges to build Phase 2 (prayer room, pastors' offices, multipurpose room & family bathroom). To be able to build Phase 2, $202,426 in cash or pledges are still needed. We have not received any of the extra needed $300K in cash & pledges to build Phase 3 (parking lot repair & expansion, kitchen expansion, sanctuary upgrades). In early April, 50 families among the leadership of Grace stepped up to give sacrificially toward the campaign, offering pledges to get us 45% of the way to the goal of $1.4 million, an average of $349/month per family. Thus far a total 98 families (or giving units) have made pledges to Space for Grace, an average of $228/month per family. Children’s ministry raised $167 through a coin collection machine and a little campaign they had done together they called "Change for Change." The Blender youth group raised $340 selling Grace t-shirts and raised $814 putting on a Mystery Dinner, for a total of $1,154. The Quilting group raised $1,000 through a raffle. 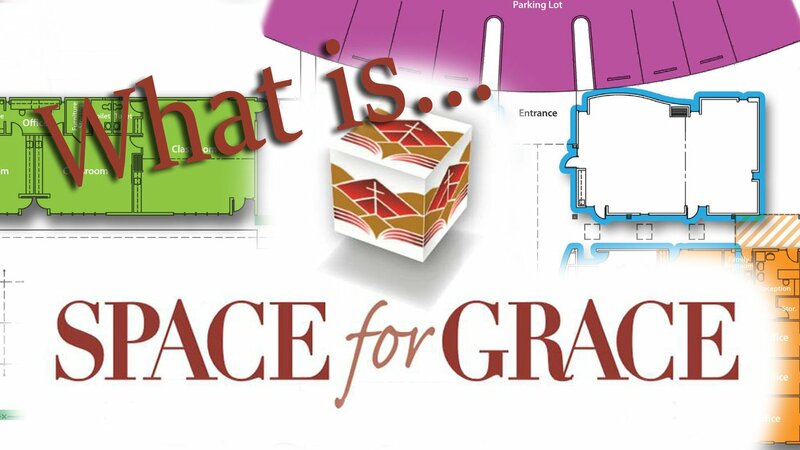 If you have yet to make a Space for Grace pledge, we would love to hear from you! Extra commitment cards in the church office, or at the Guest Services Center on Sundays, upon request. Please consider picking up a card, filling it out, and then either place it in the offering or drop it off at the office at your convenience. Thank you! Space for Grace grows and equips our campus as God builds His church. Our efforts focus on adding classroom space for children on Sunday mornings, youth on Sunday night and adults on Sunday, as well other activities during the week. We are optimizing the office so that the Grace staff and volunteers have room to work and interact with the community. The increased growth impacts the available parking which is also part of our expansion program. Children’s space is at capacity during the second service. Special needs individuals on Sunday need increased space to provide quiet spaces when needed, which we do not have today during both services. Adult space for adult ministries has been affected in more subtle ways. We are no longer able to offer an adult small group during second service. Parking is also an issue, as our parking lot fills up every Sunday and requires a lot of parking in a dirt lot behind the main campus. With this proposal, we would nearly double the parking spots into this lot, as well as provide solar covered parking to generate power for the campus and be more environmentally friendly. 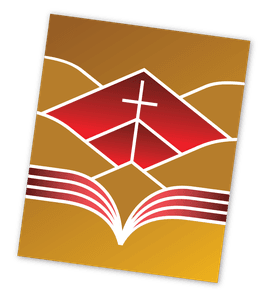 Special Events: Youth Mark520, Easter week and Vacation Bible School. While we look at the community that God has created at Grace, we see that He is at work and that will inevitably bring change. As we strive to be a body in which Christ is made known and lives are changed, we will be a beacon to a city lost without His love. If we are living into our vision, our body will continue to grow. All of the decisions we make as a community to individually and corporately reach people for Christ will lead to more people at Grace Community, and we must have an intentional plan for that growth. One of our values and strengths at Grace is authentic community. We choose to be a welcoming church and intentionally seek to reach people for Christ, because our highest value is on being a church that prioritizes Christ's Great Commission.